Because every time the weather gets as crappy as it’s been the last few days, that phrase always pops into my mind. It’s been raining so much it’s hard to be motivated to do anything except sit around inside. I guess that’s bad (and really boring and repetitive) for my Pictures of the Day, but it’s probably just as well for Blogtoberfest! So for today’s post I’m gonna put up some duck pictures. I was looking for a picture to illustrate this post and I came across a couple that I liked. Plus, ducks are pretty cool and funny. Additionally, it’s 10:20 PM as I type this and I want to get this posted by midnight. So first we have the picture above. I took it on a trip to Stockholm in 2005. It’s not as nice as the next picture, but it’s more reflective of the weather and the mood here today. Next! I took this picture in the outside garden area at Domo restaurant in Denver on a recent trip to Colorado. It’s a great place to eat. 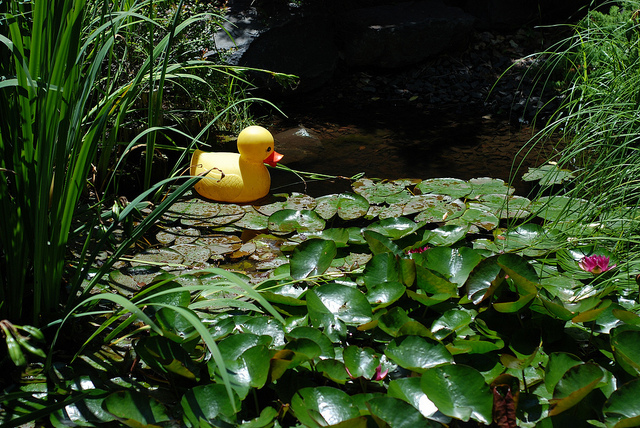 I guess technically this isn’t a duck, but rather a “ducky,” but oh well. 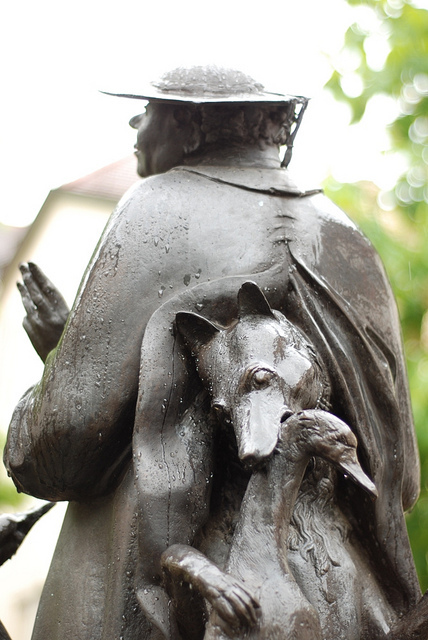 You can sort of see from this picture that the front of the statue is a priest, preaching to a flock of ducks. But it turns out he’s really just a wolf in priest’s clothing. That’s how I feel about Costa Rica’s weather this time of year. When you think “Central America,” you think, “Ooh, nice, warm, sunny, etc.,” and that’s true for a few months of the year, but once it’s got your interest, it grabs you by the neck and rains for months on end. Anyhow, it’s not that bad, but I had to blog about something, since it’s Blogtoberfest, after all! Stay tuned tomorrow for another Blogtoberfest duck post! 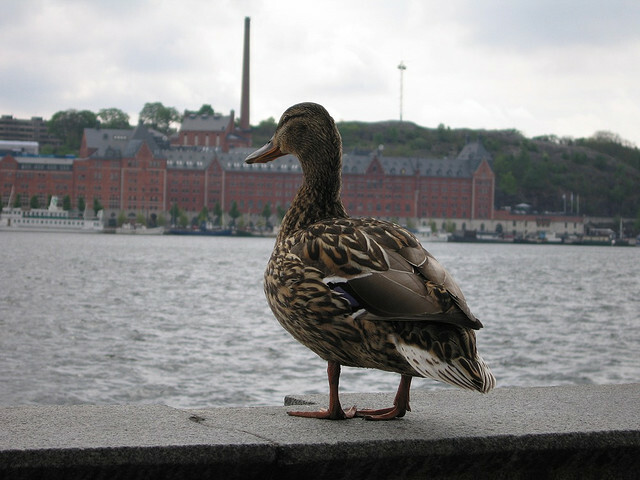 This entry was posted in Blogtoberfest, Duck, Foto, Germany, Photo, Pictures, Rain, Sitzblog, Stockholm, Sweden by Sitzman. Bookmark the permalink.